If your domain is registered with Register.com, please follow this tutorial to guide you through the DNS changes required to activate your VIP PowerNet account. 1. 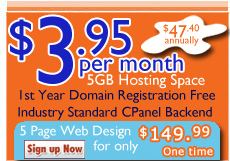 Visit http://www.register.com/ and click 'My Account' to Sign In to Domain Manager. Enter your Register.com User Name and Password. 2. On the Domain Manager page, click 'Modify DNS'. 3. Check off the two boxes to delete the current Domain Name Servers. Then enter your VIP PowerNet assigned primary and secondary nameserver as the new Name Servers, select the email address you wish to use to confirm to the change and click 'Submit'. 4. On the Confirm your DNS Changes screen, click 'Confirm' to confirm to submit the changes. 5. For security purposes, an email will be sent to your domain administrative email contact from Register.com to request you to validate the changes. To validate the changes, click on the link provided in the email from Register.com. A new page will be opened in your web browser and you will need to click the ' Make this Change' button to finalize your DNS changes. Please go on to Part II - Technical Contact Modification below. 1. On the Domain Manager page, click 'Contact Info'. On the Contact Info page select 'Technical Contact'. 2. The Contact Info page will ask you if you would like to modify the domain Contact Info. Click 'Yes' to proceed with modification. Enter the Technical Contact Information and click 'Save'. 4. Your domain DNS and technical contact has been successfully changed. 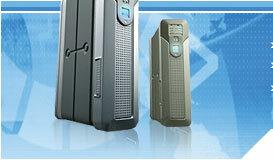 Your VIP PowerNet account will be activated within the next 24 hours.